YouTube is one of the most visited websites in the world. The increased popularity of this website does not come as a surprise because video content has become popular and is set to dominate online content shortly. Thanks to the increase in accessibility of broadband and the progressive drop in price, YouTube has become a viable alternative for education, entertainment, and information. 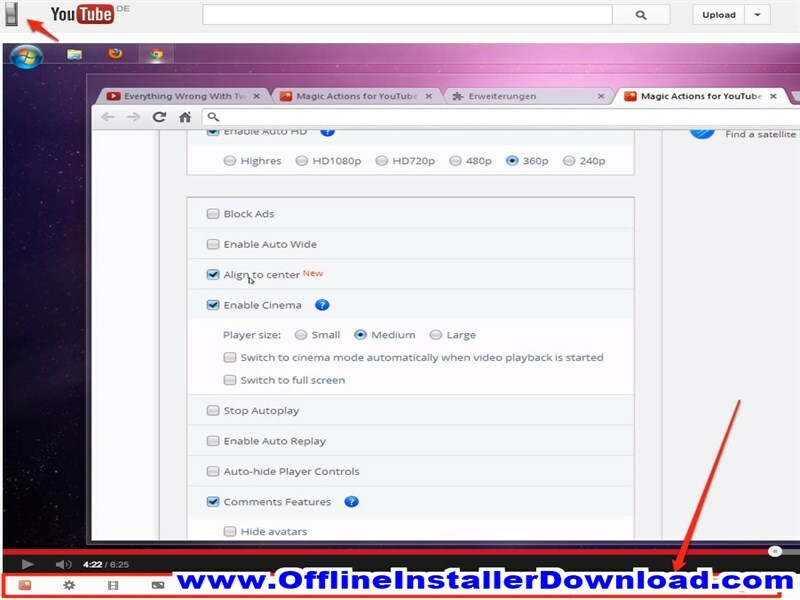 This application is a Firefox extension that enhances the experience of watching YouTube using the Firefox browser. After installing and activating the extension, the program adds new buttons to the website interface of YouTube. These new buttons add features such as activating cinema mode and customizable background with different colors or a gradient. Other features include adjusting the volume of the video with the mouse scroll, a repeat button that enables a musical video to loop after playing, and an indicator that shows the buffering percentage. Another feature which is not so spectacular is the full-screen mode which does not exit with the ESC key. 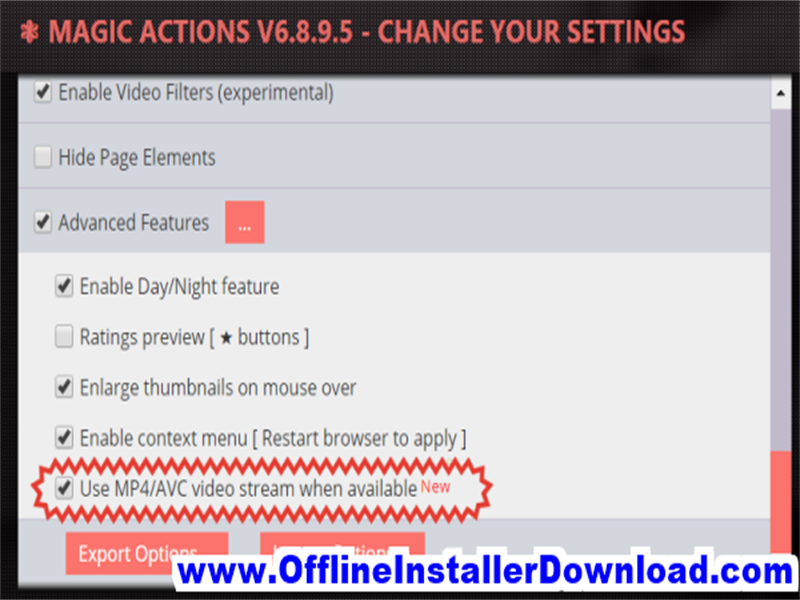 Magic Actions for YouTube for Firefox is licensed as freeware for Windows 32 bit and 64 bit operating system without restrictions. It is in mozilla extensions category and is available to all software users as a free download.